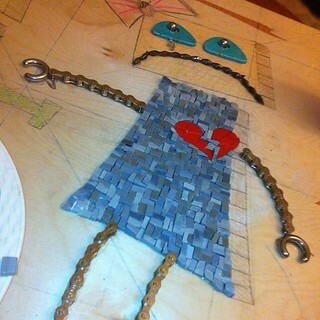 I finished the main part of the broken-hearted robot's dress. Man oh man, Rock n' Roll Armageddon is FUN! I am one lucky girl to have fallen into this gig. I blew it! I should have bought it.